Bob (left) and Eric Foreman. Winzenberg photo. Robert (Bob), born 1890, Eric (born 1892) and Alic (born 1897) were sons of George and Nelly Foreman of Gladstone. The boys went to Gladstone School and followed their father into farming. 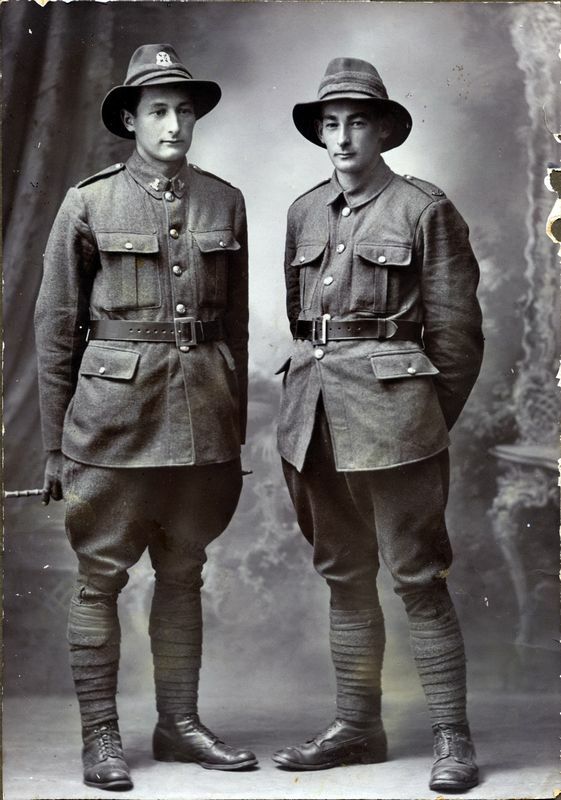 Eric and Bob enlisted together in January 1917, with consecutive service numbers – 41771 and 41772. They were posted to the N.Z. 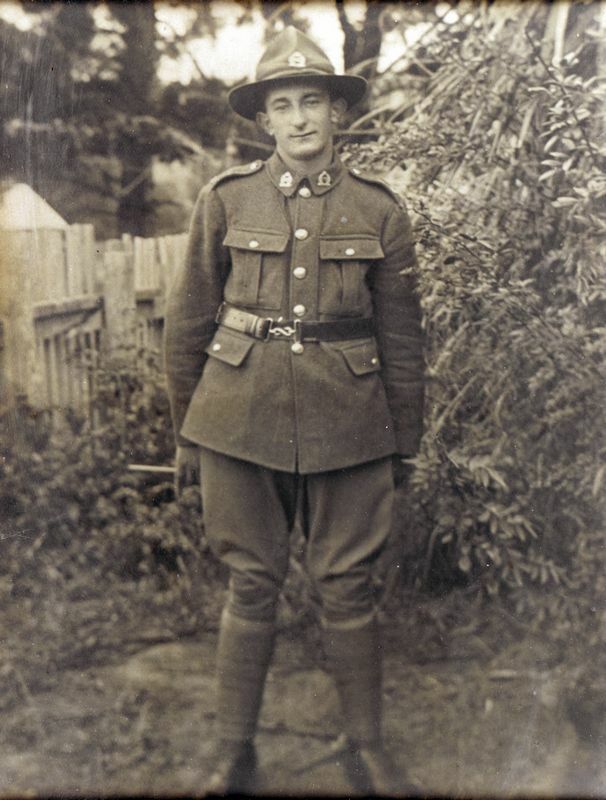 Rifle Brigade and trained at Trentham and Featherston camps. More training followed in England before sailing to France in June and joining the NZRB’s 4th Battalion. In this unit both took part in the ill-fated attack on Passchendaele on 12 October 1917. Bob was shot through the thigh and wrist, while Eric received a knee wound. They were removed back to England where it was decided their wounds rendered them unfit for further service. Eric sailed for New Zealand in February 1918, and Bob a month later. Back in New Zealand they were discharged from the NZEF. Alic Foreman before leaving New Zealand. Younger brother Alic (65516) enlisted in August 1917, also into the N.Z. Rifle Brigade. He embarked from Wellington on 31 December 1917 and marched into the NZRB’s training camp at Brocton near Birmingham in late February. He reached the 2nd Battalion NZRB in May 1918 during the Second Battle of the Somme. Alic was killed near Bapaume on 26 August 1918. He is buried in Vaulx Hill Cemetery, 6km north of Bapaume. Bob farmed back in New Zealand and died in 1982, while Eric, also a farmer, died in 1976.